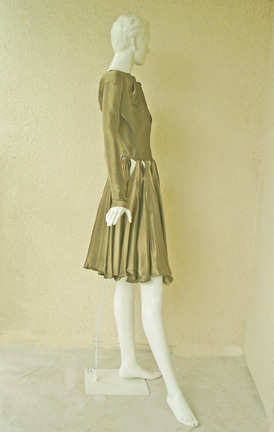 Rare circa 1980's early 90's Alaia antique gold lame bubble dress designed as a fashion tribute to Alaia's highly regarded fashion inspiration, Madame Vionnet. 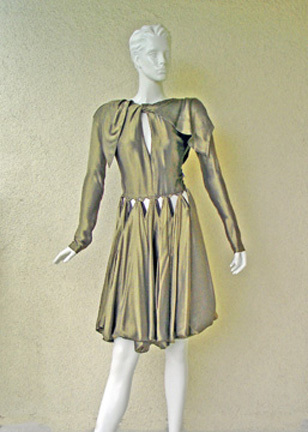 As most of Alaia's designs are created in silhouettes that hug the body and accentuate the female form; this dress is a unique departure though still in keeping with the designer's ability to drape, cling and fold to the body using bias cutting and criss-cross seaming. Fashioned of a silky rayon antique gold lame fabric with long sleeves; front keyhole bodice is bias cut in an intricate construction designed to drape and cling easily to the body. 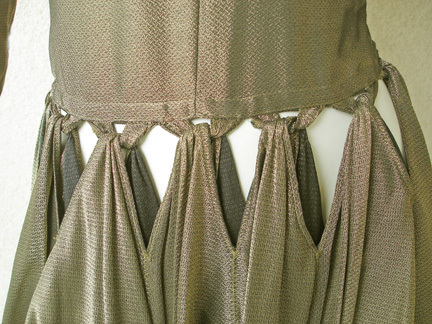 Unusual inverted V holes encircle the waist while the hemline is pulled slightly together in a bubble form. The intricate criss-cross neckline construction is designed to easily put your head through. 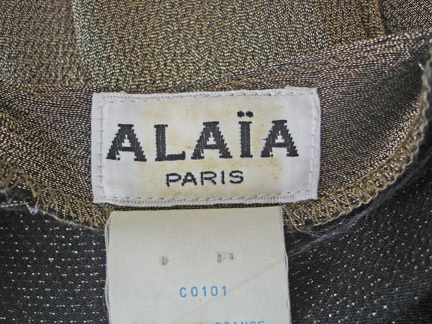 A rare and collectible creation from Azzedine Alaia, "The King of Kling". 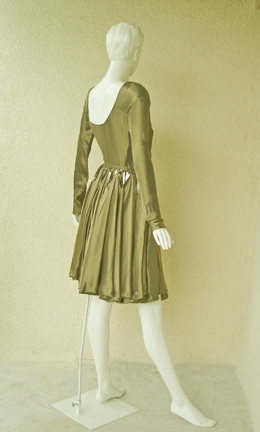 Size: 40; bust: to 36"; waist: 25"; length: 42"; sleeve: 26.5"